Drop Down Menu 1.0 - Download Win Apps. Create a customized Drop Down Menu for your website with easy!. You don't need to be an expert in web design to make a drop down navigation menu. Now you can easily make professionally built dropdown menus for your web site menu system with this generator. With DDM clear and comprehensible interface, you need just 4 simple steps to get your web buttons or css dropdown menu ready and if you use a pre-designed sample as a base you'll end up even faster! Create html drop down menus for web page navigation in a few clicks! Define text, font, color, URL and more for the multilevel dropdown menus. You don't need to write any code by yourself. 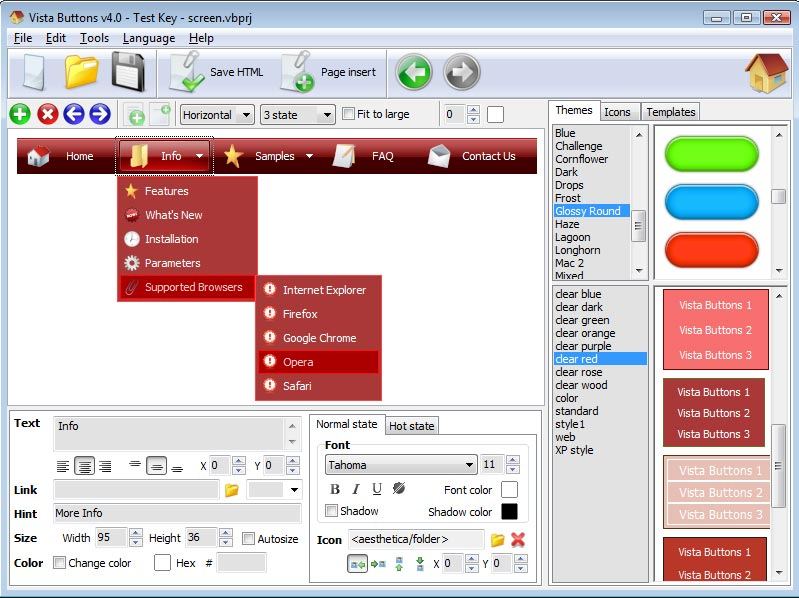 Horizontal drop down menus builder will generate it for you.